Home>Gifts for Her>Gifts for her>Ivory coloured leather travel wallet with lilac lining. 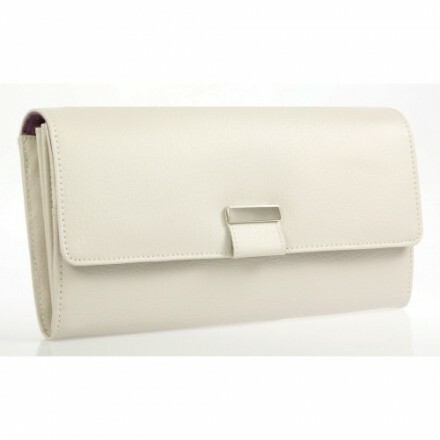 Ivory coloured leather travel wallet with lilac lining. 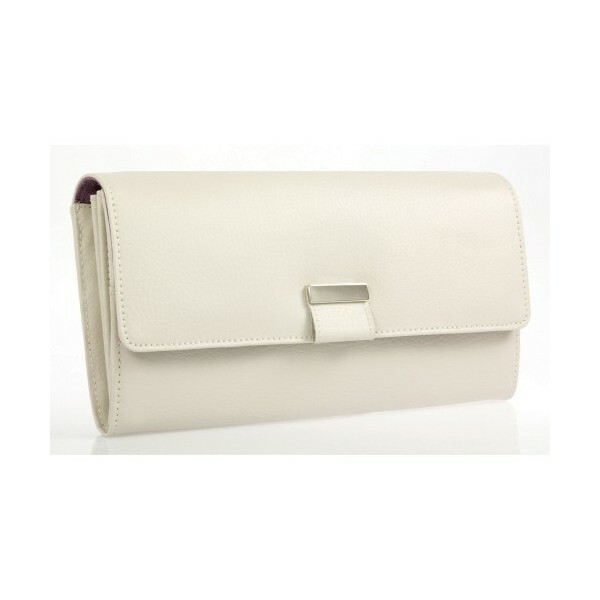 Ivory coloured leather travel wallet with lilac lining and silver coloured clasp. Measures 23cm x 13cm x 4.5cm. Leather travel wallet with named compartments in silver metallic lettering for passport, tickets and documents. Section for currency (notes and zipped section for coins). Features lilac faux suede lining. Comes gift boxed.